You are currently browsing the tag archive for the ‘The plant lady chronicles’ tag. Heeeyyyyyyy, hi everyone! Didja miss me? You better have, haha! Just kidding! 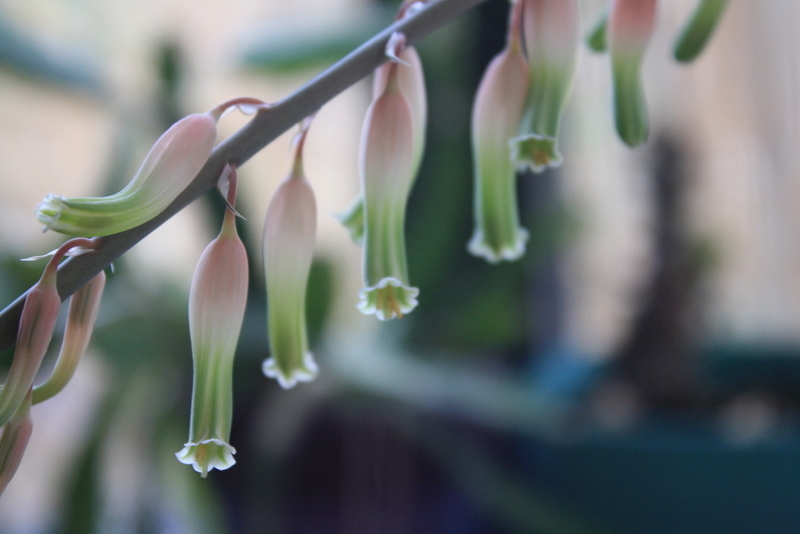 I’m still playing catch up but I thought I should start blogging about plant stuff again one of these days. 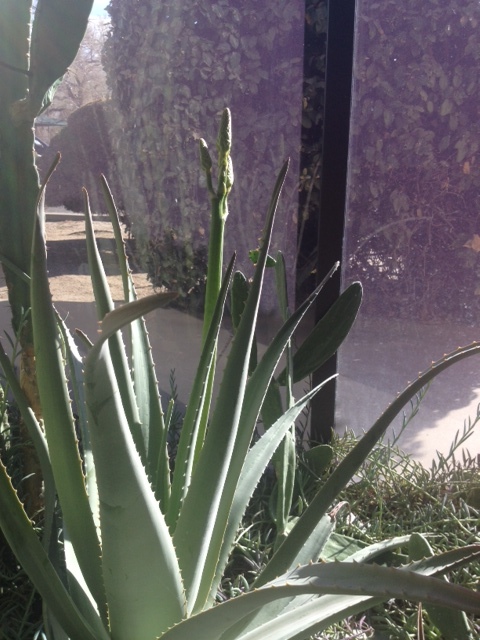 So today, lookee – the Gasteraloe (named Gus) has more pretty flowers! I took photos when I was there last week. It’s hard to get decent photos because of that wall behind the plant. My phone gets confused about where to focus its attention! The plant is very happy. 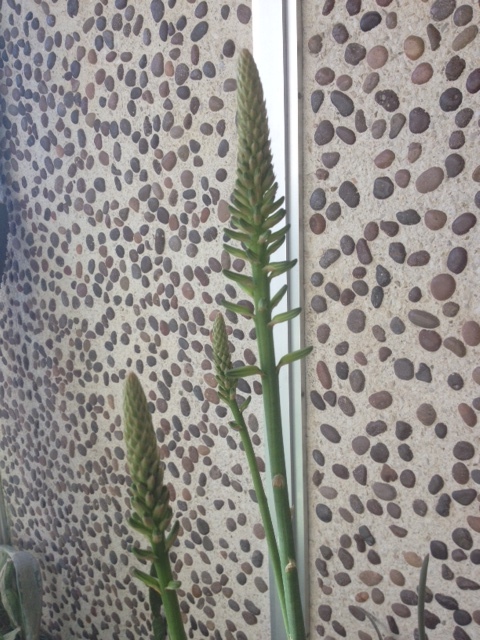 The stalks are about three feet tall now, and still growing. Only the lowest flowers have actually opened so far, which I’m not sure if you can see that in the photo. When I go back this week, I’ll see if I can get a close-up. 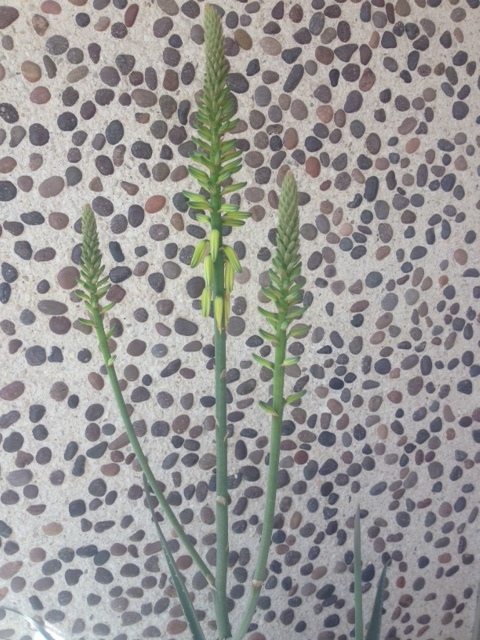 The flowers are very similar to the Gasteraloe that I have blooming at my house, except they’re not as colorful. And it has nothing to do with fisticuffs! 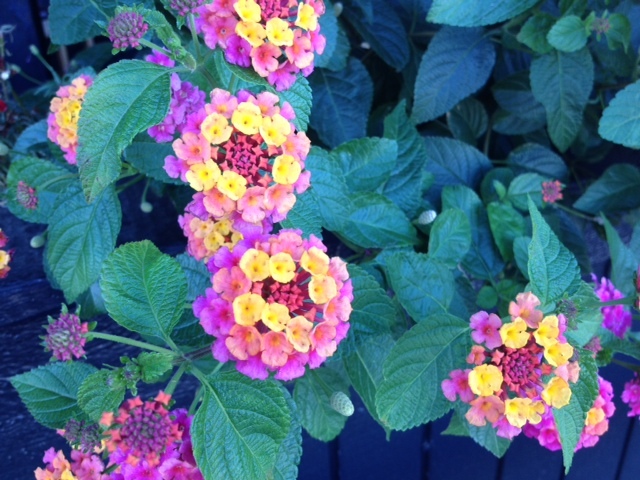 The flowers aren’t particularly attractive, but that’s ok. It’s still a good sign when a plant flowers. Reportedly happier than the newsmen! 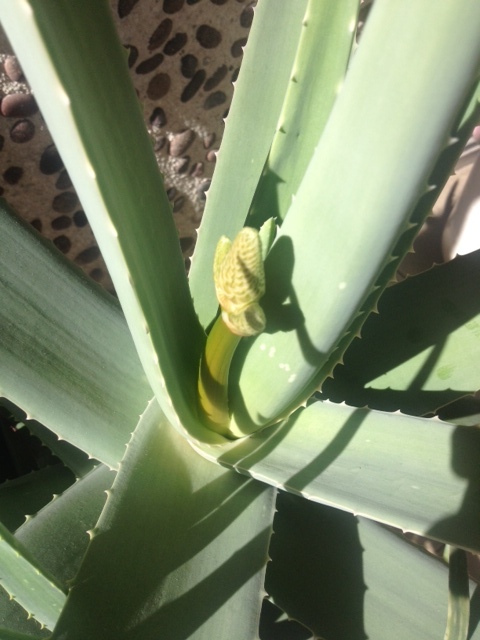 One of the Aloe plants at KOBtv is forming a bud for the first time ever! 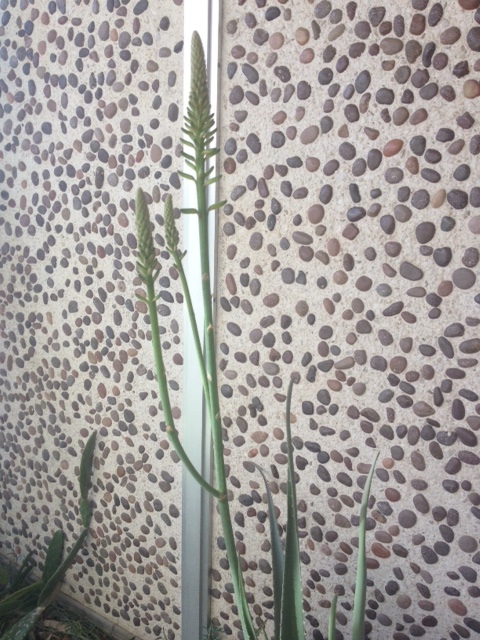 We’ll be covering this story until the flowers are fully formed. Now back to you in the studio. 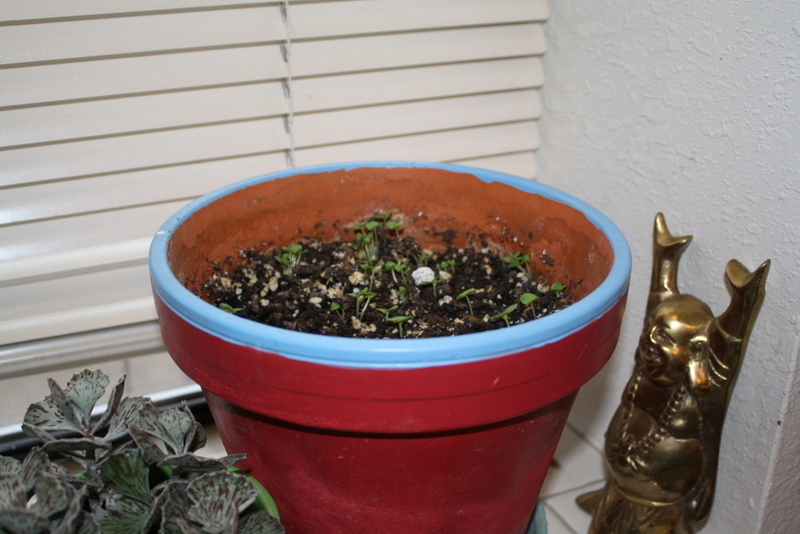 The Coleus started as an outdoor plant and a couple falls ago, I snipped lots of cuttings and threw them in random pots around town to see if they would overwinter. They all did. Even the ones I put in unlikely places, like this office that gets no sunlight. This particular plant is a little leggy, but I don’t mind. It’s just so cute that she’s growing at all. And now that she’s flowering, I like her even more. This is at a law office downtown, one of my clients. 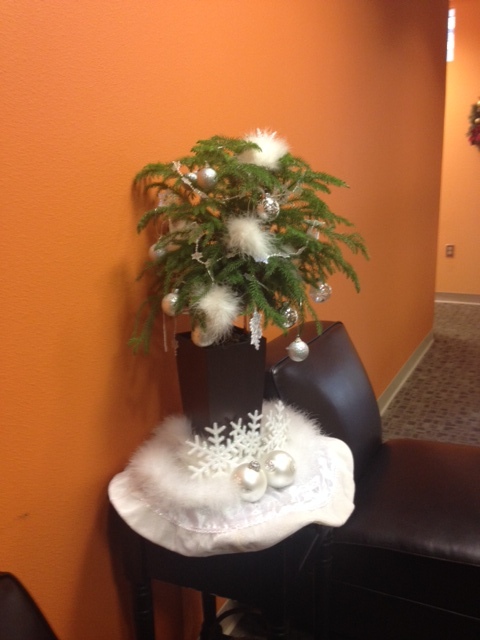 I came in the other day and found that they’d decorated the Norfolk Island Pine, so that made me happy. 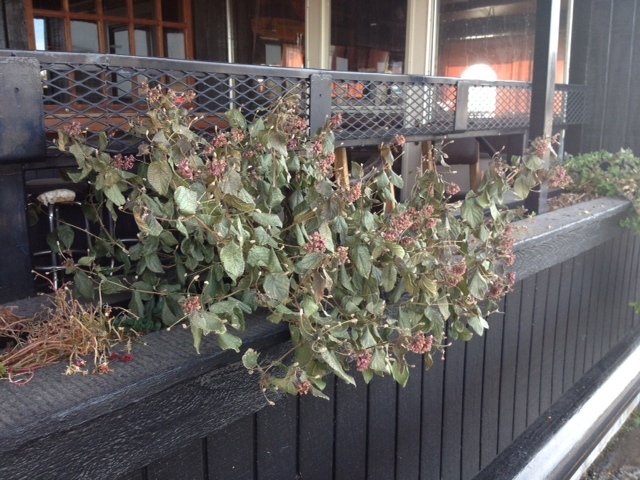 After the holidays, I’ll get a better photo of the container that the Norfolk is in – it’s a hydroponic container. There’s a little measuring gauge that shows me when the water level gets low (the gauge is attached to a wick). No soil, no fuss. It’s an awesome container. 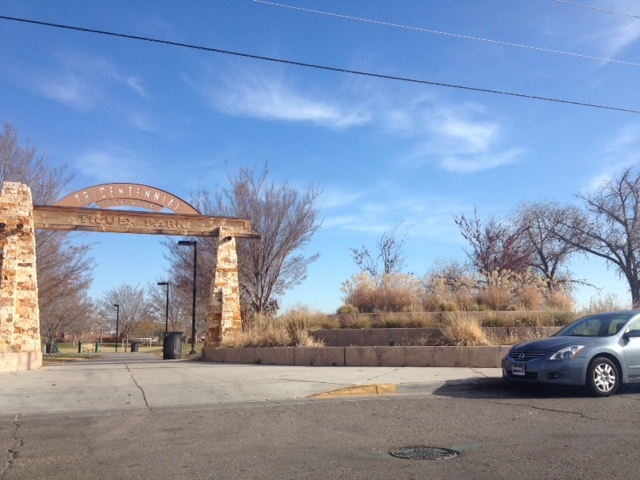 …when the City of Albuquerque screws up its landscaping. So much for hoping they landscape correctly this year. They’re supposed to leave the grasses intact for winter interest. In the above photo, they left some of them, then incorrectly pruned the rest (they should’ve pruned them lower, and why are they all different shapes?). In the below photo, I guess they haven’t gotten that far. Those blank spaces are from where the grasses have died from the bad pruning in previous years. So I guess it’s official that they’ll never learn. Or don’t care. Lazy, lazy landscaping. 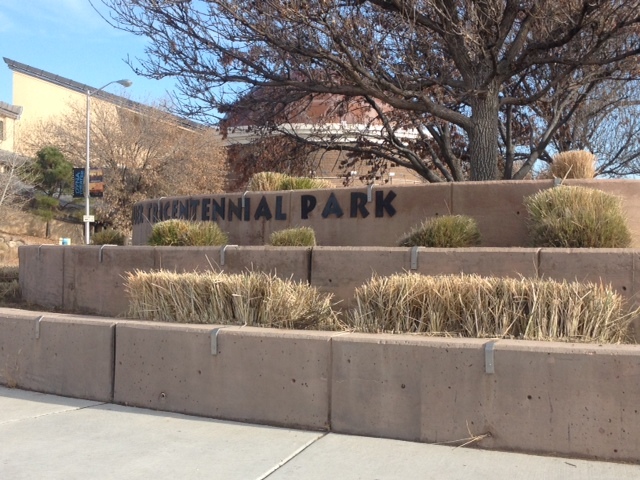 They do the same in parks all over the city, then homeowners copycat what they see. And I spend a lot of time facepalming my way around town. I had this post ready to publish yesterday, but then I got sidetracked by a call to respond to a house fire. 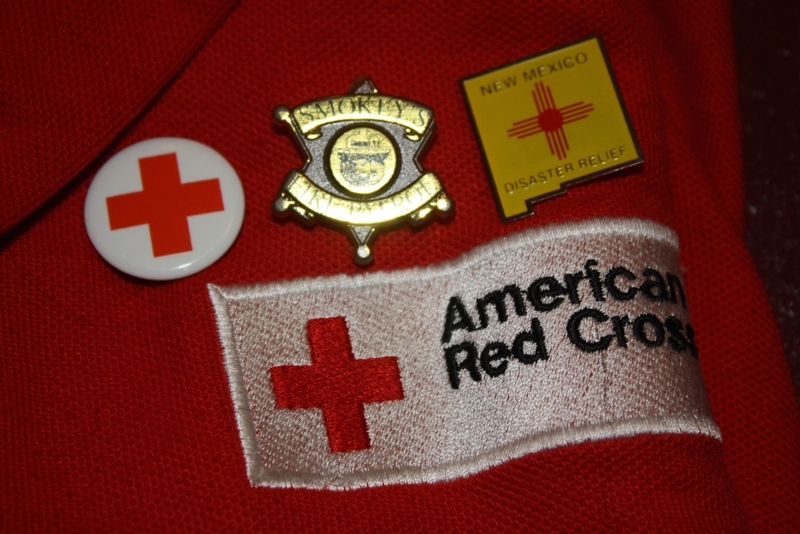 The Red Cross dispatched me and another volunteer to help an elderly gentleman who was the victim of an arson fire. Poor guy. He was just minding his own business, then suddenly his house was on fire. Maybe it was kids, or mean-spirited adults, we’ll probably never know. He was lucky, he wasn’t hurt, and the damage was contained to the outside of his house (so his clothes and possessions weren’t hurt). He was a retired army veteran, and a kind soul. We got him into a hotel for the next three days, and provided money for food. We’ll also work with him in the coming days to see if the VA can help him get into a new place. I don’t know if many of you heard the NPR piece criticizing the National Red Cross recently. It was tough to hear, because I know how hard volunteers like myself work to help the people in our cities and across the country. One thing that a lot of people don’t know is that our local chapter of the Red Cross doesn’t get money from the national organization to provide these services to victims of natural disasters. We would only get money from them if a disaster becomes a national disaster, like Hurricane Sandy did because it affected so many states. 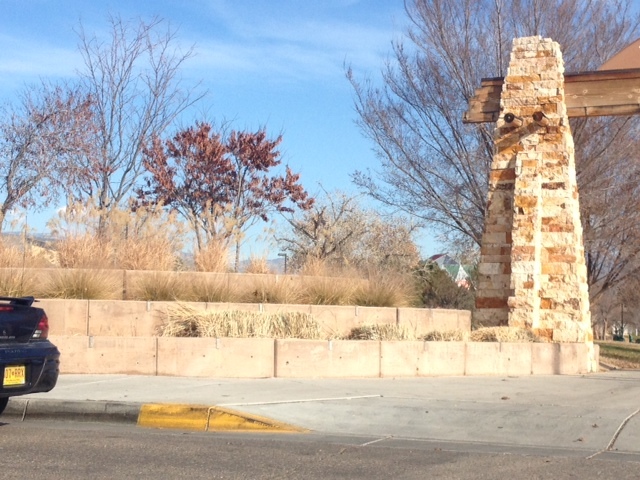 In Albuquerque, we usually just have home fires, so we don’t get funding from them. Our funding comes from local donations. Stories like the one that aired on NPR will most likely end up hurting our local fundraising, because people won’t want to donate due to our association with the larger organization. It’s a shame. We do good work. 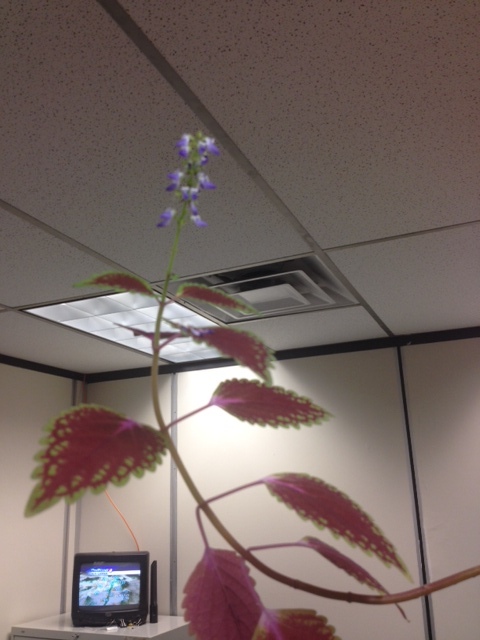 [Wednesday – The Plant Lady Chronicles] Awwwwwwww! Baby basil plants on my kitchen windowsill! Stupid cold. 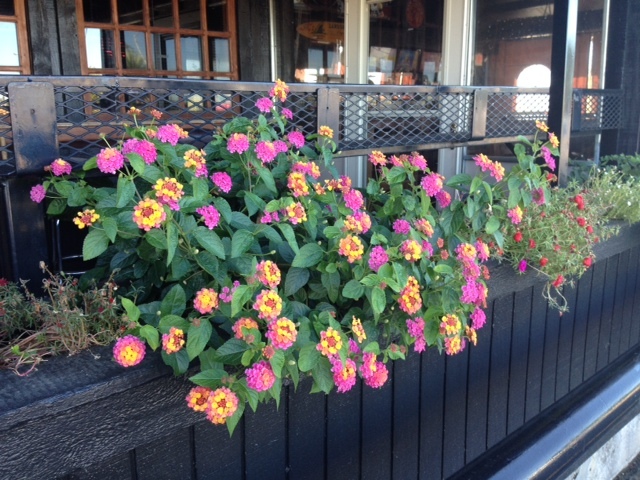 I miss the flowers already! 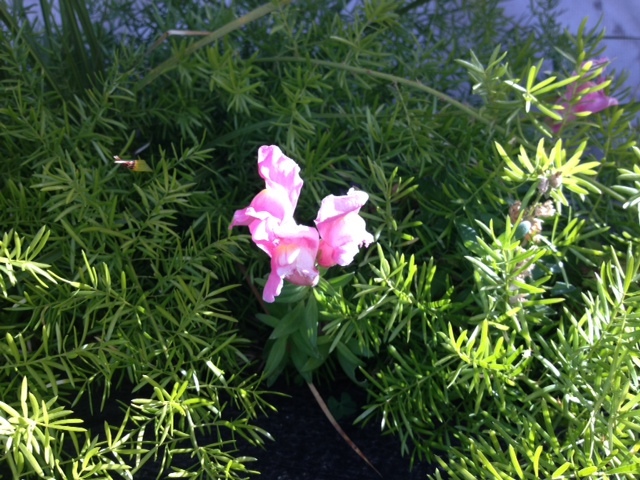 Strangely enough, this snapdragon flower doesn’t seem to mind that it’s nearly Thanksgiving. 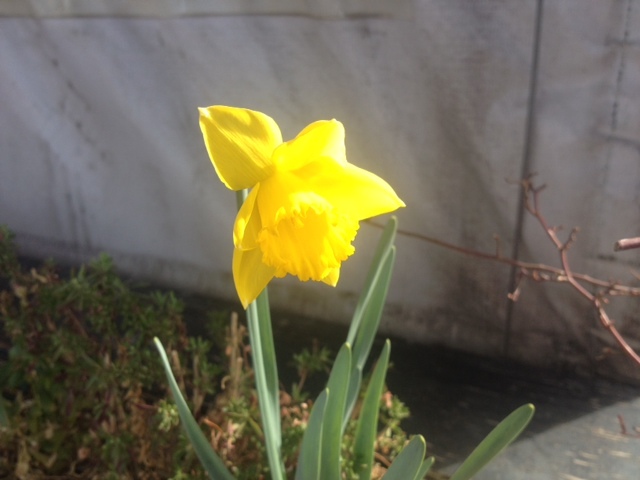 She marches to her own seasonal drummer.